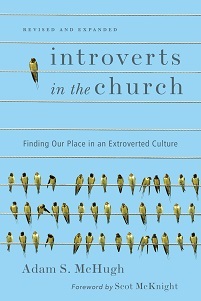 My friend Jamie Arpin-Ricci and I recently did an online interview about Introverts in the Church and its implications both for introverts and extroverts. 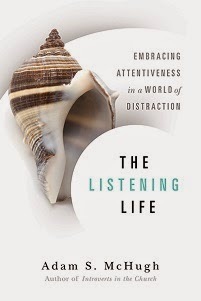 Jamie was particularly interested in how introverts can engage in community, leadership, and mission. For the next several Tuesdays I will post one of those interactions, and I would love your reactions and input. They are really just teasers for what I hope will become a much larger dialogue in Christian communities everywhere. Jamie Arpin-Ricci: One of the early chapters in your book is called “Finding Healing”. Why was that so important so early in the book? Adam McHugh: Over the course of 3 years, I talked with and interviewed my fellow introverts, and I was saddened by how wounded many of us are from our experiences in Christian community and from life in our extroverted society in general. Our wounds have been inflicted both from without and within. Others misunderstand us or mislabel us as antisocial, loners, arrogant, unloving, or passive. Many of us have absorbed those criticisms and we are convinced that something is deeply wrong with us. Many introverts feel confused and ashamed of who they are, and with alarming frequency, struggle with despair and depression. I am convinced that until we find some level of healing and self-acceptance, as we pursue our identity as introverts in Christ, we won’t be able to live authentically in Christian community and to practice our faith as ourselves.